In fact, we recommend having your duct lines cleaned every 2 years or if one of these factors is present within your property. 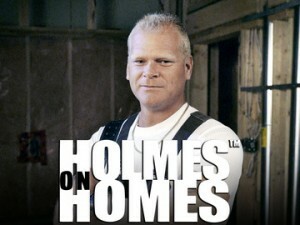 HS Restoration is a full service restoration company, helping clients restore their property from all types of damage. We have been providing air duct cleaning services for Atlantic and Cape May counties since 1998 and are committed to 100% client satisfaction. 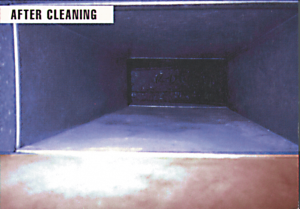 If you believe it is time for the duct lines in your property to be cleaned, give us a call for a free consultation. For nearly two decades we have been helping clients with their air duct cleaning needs. Over time we have collected a stock pile of frequently asked questions and are happy to share them with you. 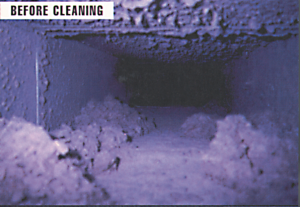 What are the signs I need to clean my ducts? It may be time to clean your air duct lines if it has been longer than 2 years since your last cleaning, rodents or vermin have recently been spotted within the duct lines or you notice visible mold growth. We also recommend clients clean their ducts when dirt, grime and dust begin to accumulate around the supply and return vents. Are there health benefits to cleaning? If so, what are they? Specifically for properties with occupants who are sensitive to allergens, duct cleaning can help address harmful particulates such as mold growth or bacteria from rodents or other vermin. Routine maintenance is also recommended to help address particulate build-up within the HVAC system and duct lines. These cleanings can help keep dust levels down and prevent circulation of particulates throughout the property. It varies based upon how large the property and how many HVAC systems are present. Are there different methods to Air duct cleaning? There are different types of air duct cleaning machines out there, however you want to choose a contractor who conducts the Source removal mechanical process. Recommended by the National Air Duct Cleaning Association (NADCA), this process combines agitation, extraction and environmental controls; keeping particulates contained using a HEPA filtration system. This process ensures particulate do not infiltrate into other areas of the property, and are contained within the unit. How do you choose the best Air Duct Cleaning Professional? Credentials and referrals are key. You want to make sure the professional is certified with the NADCA. This organization serves as the governing body for Duct Cleaning professionals and provides training and continuing education courses. Make sure the company you hire is in good standing with the NADCA and can prove their membership status. Ask them about the type of equipment they are using to complete the job. Do they follow the source removal mechanical process or a different method? Find out how long they have been in business. Expertise and experience are key in having the job done properly. Finally, what do their previous customers say about them? Would those same customers use them again? Do your due-diligence and find out. HS Restoration has been successfully serving clients since 1998. Equipped with certified and experienced technicians, high quality equipment and the expertise to get the job done correctly the FIRST time, our team continues to successfully service the Cape May and Atlantic counties of New Jersey. In addition, when you choose HR Restoration for your Air Duct Cleaning project, you can count on our commitment to professionalism while delivering a superior product each and every time. Our company is licensed, bonded and insured and over the years our commitment to 100% satisfaction has helped us become one of the most trusted restoration names in Cape May and Atlantic counties. If you would like a free estimate and speak with a trained professional regarding cleaning the duct lines in your home, give HS Restoration a call today.